We've come full circle! For those that have not been with me since the beginning my 2017 Beautylish Lucky Bag was my first blog post! If you've never heard of the Beautylish Lucky Bag and are completely lost basically it's a mystery box filled with goodies from the brands that Beautylish carries and comes in two sizes, regular which cost $75 plus $7 in shipping but comes with at least $150 worth of products, and XL which cost $150 plus $15 in shipping and comes with at least $350 worth of products. I so desperately wanted to get an XL just to see if I'd have better luck with the product selection than in the regular size but they were sold out by the time I gained access to the sale which from my understanding is pretty typical. In order to get the XL you basically have to get in on the early access to the Lucky Bags and in order to do that you have to have spent $1000 in a calendar year at Beautylish which I did not. Not like I need all the extra products an XL would come with but it would of been fun to review. Anyways, this year I decided to wait a little after I got mine before sharing it so that I could have time to test out a few products instead of just doing a reveal. Last year was my first Lucky Bag and initially I was pretty jazzed about it but I definitely like this year's infinitely better. I looked at a few reveals while waiting for mine and while I did see some items in other people's Lucky Bags that I would of loved to get my FOMO wasn't what it was last year because I think I had more realistic expectations this time and knew that there would probably be at least one product that I wouldn't like. Enough of that, let's get to the goods! I thought I would start going in ascending order with the values of everything so we're starting with something from The Ordinary which is an incredibly affordable skincare brand, especially considering some of the crazy expensive brands Beautylish carries. 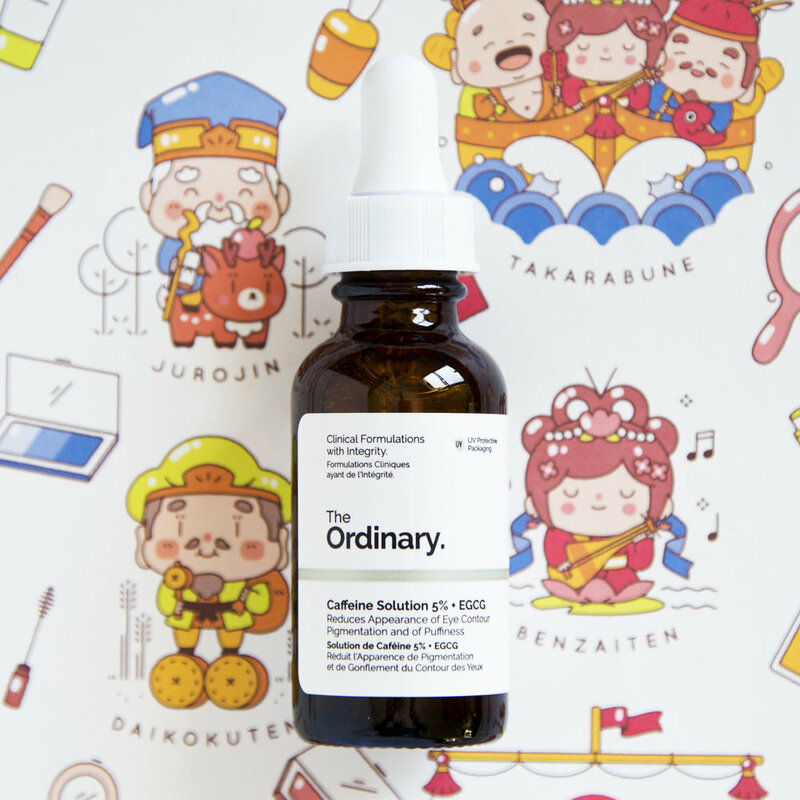 The Ordinary Caffeine Solution is a water based serum that is supposed to help with dark circles, under eye bags and puffiness. It has a 4.5 star ratting on Beautylish based off of 56 reviews plus it is one of Wayne Goss's favorite products from the brand and he is someone who's opinion I really trust. After reading what voters consider to be the most helpful review on this product, which is very lengthy and seems fairly well informed, I'm not sure this will actually do anything for me. This reviewer states that caffeine will help with the puffiness and eye bags, neither of which I have, but will not help with dark circles, which I definitely do have. I did a quick Google search though and from what I can tell there is some literature out there arguing that caffeine does help with dark circles. I guess for now I'll continue to use it since I'm not sensitive to the product and see if I start to notice a difference but so far in my limited use I have not seen much, if any, change so I'm not holding my breath for this one. 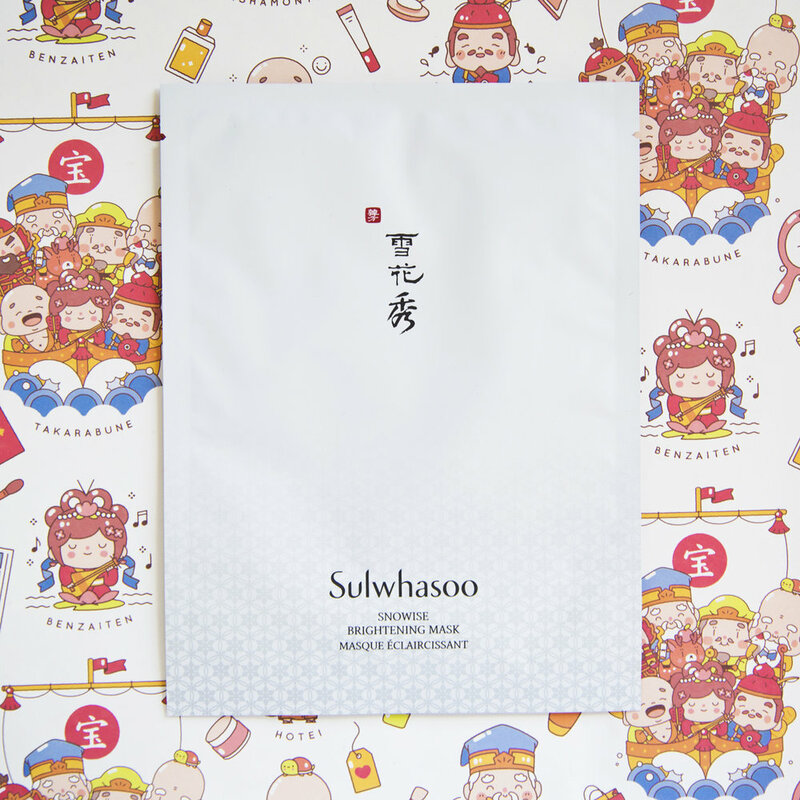 Sulwhasoo is a skincare brand based off of Korean herbal skincare medicine and is one of those brands that Beautylish carries that is pretty darn expensive. There are not currently any reviews on this product on Beautylish or Sulwhasoo's websites so I have no idea what to expect from this one. Alcohol is the fourth ingredient on the list plus it also has fragrance in it, albeit the last ingredient, but both of those are not great for my skin type (dry and somewhat sensitive) so I really hope I don't have a negative reaction to it. I don't typically go for brightening masks since I don't have dull skin but I am always down to try a sheet mask so I'm willing to give it a go. I think what I'm going to do is save it to use in my next Sheet Mask Showdown since it is such a pricey sheet mask and then that way I can tell you how it preformed and if it does dry out or irritate my skin so stay tuned for that. Oribe is kind of like the Rolls Royce of haircare brands because their products are stupid expensive but they are really nice if you can afford them. I was not the most excited to see this product in my box because I also received it last year in my Lucky Bag. The Après Beach Wave and Shine Spray is supposed to give you that beachy wave texture...and I just had what little hair I did have chopped off (currently sporting a pretty short pixie). I gave away my can from last year since I wasn't very into hair products back then but I have recently gotten into them a little more, in fact I currently use the Oribe Fiber Groom paste, so I did decide to keep this and try it out. It does make my hair nice and shiny but it doesn't give me as much texture as I would like. It does smells pretty good so I will continue to use it but I really I hope I don't get it again next year. The Stila Magnificent Metals Liquid Eye Shadows are super sparkly and are supposed to lock into place without any fallout or flaking. I would of been more excited and would be keeping this if it were just about any other color other than the one I received. I am not a huge glitter junky plus I already have the Urban Decay Heavy Metal Glitter Eyeliner in Midnight Cowboy which is a gold glitter liner so I definitely don't need this as well since they're just too similar. If I were going to purchase one of these I would go for one of the duo chrome colors since those are my favorites and are a bit more interesting to me. Since I'm not going to keep this I've listed it on my Poshmark and Depop for sale so that it can go to someone who actually wants it. Wayne Goss, whom I've mentioned many times before on my blog, is a makeup artist and has over fifteen years experience in the beauty industry and has 3.1 million subscribers on his YouTube channel. 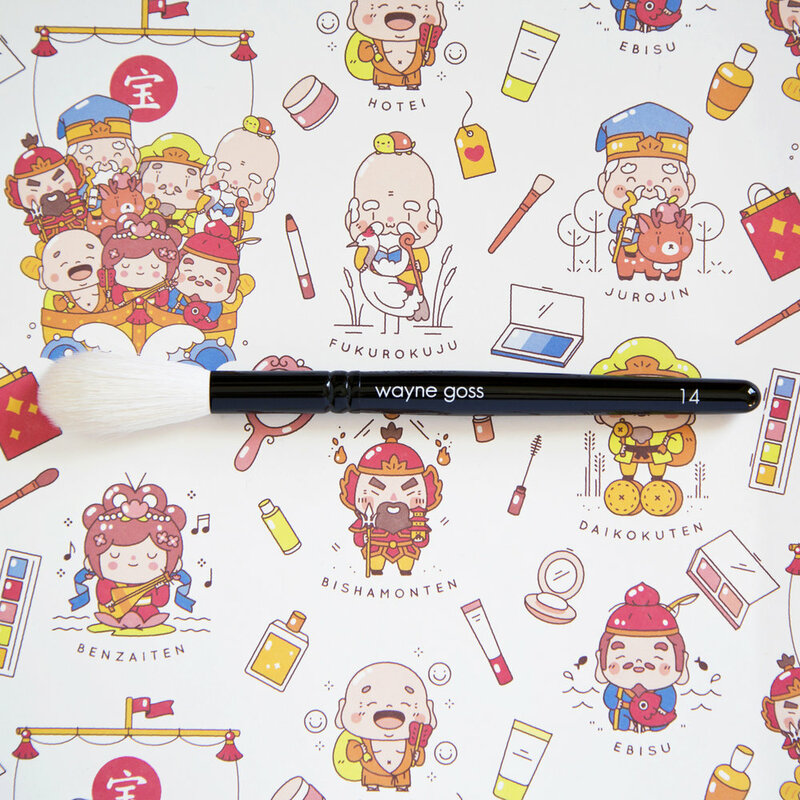 Wayne's line of luxury makeup brushes are hand crafted in Japan by the world's best brushmakers and are made of natural fibers, aka animal hair, but are cruelty free (this means the hairs are harvested in an animal friendly way). I have wanted to try one of his brushes for ages but the price tags had me shook so I was super excited to see one in my Lucky Bag. The hairs on this particular brush are goat and it is insanely soft. With the size of this brush I like to use it for highlight since it's not very large and so far the few times I've used it it has done a beautiful job of applying product. Probably wouldn't of been my first choice for shape but I've been surprised at how much I do like it so I know I'll continue to get my use out of it and that it will last a long time since it is such a high quality brush. This is a lightweight mattifying gel primer that is supposed to minimize the appearance of pores and fine lines as well as prevent and heal acne blemishes. This primer is suitable for normal to oily skin types and I have incredibly dry skin so I will not be keeping this product. I just have zero use for this so I'm a bit bummed about it and I could of used any of the other primers from Cover FX except for this one. I have large pores on my nose so I could of used the Blurring, I love glowy skin so I could of used the Illuminating, I have rosacea so I could of used the Calming and I'm 28 and getting into anti-aging products so I could of used the Anti-Aging primer as well...literally any of the other ones would of been better. I don't actually even have any close friends that have oily skin so I've also listed this on my Poshmark and Depop as well so that someone with the proper skin type for this product can enjoy it. Set two of the mini trio of highlighters from Jouer comes with the shades Skinny Dip, Rose Gold and Ice (a holiday limited edition shade exclusive to this set) and are supposed to give a lit from within glow without a glittery finish. I was super excited to receive this because I actually almost bought this set a while ago just for the shade Ice. Jouer seriously needs to release Ice as a full size individual because it is such a good shade for fair skin and they don't have anything else like it in their permanent line. The shade Ice is described as a holographic pearl (lies, definitely not holo) but it is a little iridescent with a pink/gold shift, Rose Gold is exactly what the name entails and the shade Skinny Dip is described as a shimmering golden peach. 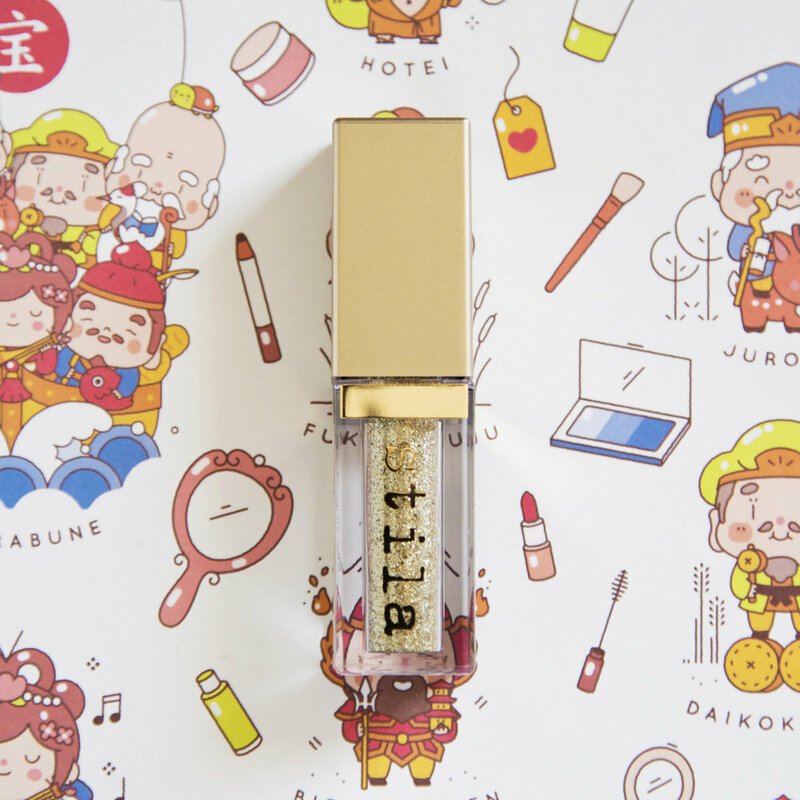 I really like Ice and I think Rose Gold might work on my skin tone but from looking at the swatch of Skinny Dip on Beautylish's website it looks way too golden for me so I gave it to my best friend since she has a very yellow undertone so hopefully it'll work for her. I've only put Ice on my face so far but I love the look of this highlight because it is super metallic and gives and extra glossy, strobed look to the skin. I like that they did two mini highlighting sets, set one comes with Citrine, Rose Quartz and Topaz, but I don't think the grouping of shades makes the most sense because I don't think the same person could use all three shades from each set (maybe light-medium but definitely not porcelain or deep). To me it would of been more logical to group them based off of what shades work best for fair to light skin tones (Ice, Citrine and Rose Quartz) and what shades work best for medium to deep skin tones (Topaz, Skinny Dip and Rose Gold). That would of made a lot more sense to me but hey what do I know? Jouer currently has a Beauty Blowout on their website with select items that are 30% off with code "JOUER30" and the highlighting trios are included in the sale so I decided to pick up set one so I can try out Citrine and Rose Quartz because I really want to try those two shades out since I love Ice so much. OMG Y'ALL! Okay formalities first; The Natasha Denona Eyeshadow Palette 5 contains five ultra-pigmented eyeshadows in various finishes that are super buttery and easy to blend. If you can't already tell I am super jazzed to have received a Natasha Denona eyeshadow palette in my Lucky Bag. I've ummed and ahhed over purchasing one of the Palette 5s before but none of the color combos really spoke to me so that's why I jumped in whole hog and bought the Star Palette in November. My initial reaction when I pulled the palette out of the box and saw the colors was, "those are really warm tones for me but I don't hate it." For the sake of the review and demo of the palette I used it by itself and it worked out pretty well but in the future I will probably be mixing in my Star Palette just to add another transition shade in the mix. Natasha Denona's eyeshadow formulas are my absolute favorite and the quality is amazing so I am quite chuffed with this one! I started off by blending the matte orange shade (90V Sand Storm) in my crease really lightly with a fluffy blending brush and gradually building it up so that the transition wasn't harsh since this is a pretty bold shade for the crease on my skin tone. After that I took the matte brown shade in the middle (88V Arizona) and popped that on my outer corner and in the lower half of the crease. Next I took the coppery metallic shade on the end (78M Umber) and put that all over my lid which you can hardly see at all because I have hooded eyes but it is a beautiful shade. On the lower lash line I took Sandstorm on a small fluffy brush and dusted that across the whole lower lash line and then added the duo-chrome green/brown shade (85P Pinja) on an angled liner brush and took it right up close to the lashes. On the inner corner and on the brow bone I took the light pink (57V Flamingo) which is a nice matte highlight shade. I'm not usually a fan of warm (read: orange) shadows just because I don't like the color all that much but I actually find these particular shades very flattering to my eye color so I think I will be experimenting with this eyeshadow palette more. I also used the Jouer highlighter in Ice in the photo above but my face isn't angled so that you can see it all that well on my cheekbone but trust me it is stunning (I think I also added it to my inner corners for more of a pop). When it comes to mystery bags I become all about the numbers and getting my monies worth so I had to geek out for a sec. At MSRP my Lucky Bag has a value of $223.70 which is incredible for what I paid but the value of the things I really like and am excited about (2/3 Jouer highlighters, Natasha Denona eyeshadow palette and Wayne Goss brush) is only $107 so I'm not getting the greatest deal if I were to hate everything else but at least I feel like I won't be loosing money because of the items I don't like. Even though there were a few products I don't like and some that I'm not overly excited to try the good definitely outweighs the bad so overall I'm really happy with my Lucky Bag this year because I got a few cool products to try out that I otherwise probably would not have purchased for myself which is what the point of the Lucky Bag is to me. I hope I din't bore you all too much here at the end with my math and chart but I am a very left and right brain balanced individual and I am a numbers girl so figuring all that out was oddly satisfying for me. If you read through all that then you are a total rockstar and I thank you so much for taking the time to read the mumbo jumbo that my brain spits out. See you next time!